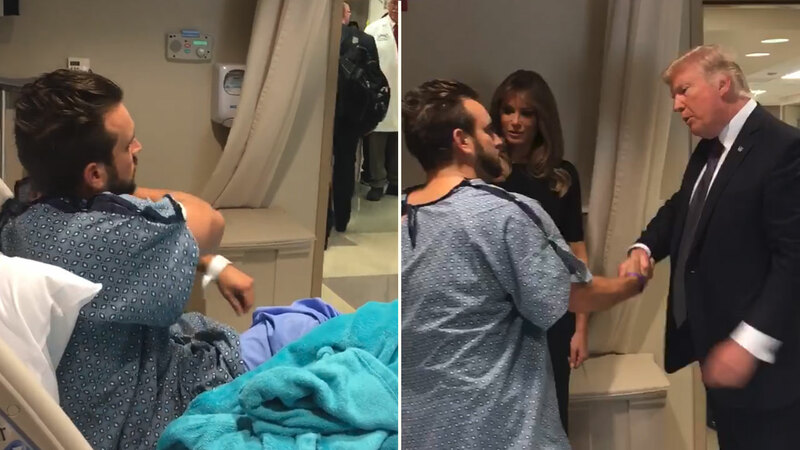 LAS VEGAS, Nevada -- A victim of the Las Vegas shooting stood up with a gunshot wound in his leg when President Donald Trump visited him in the hospital. "I will never lie down when the President of this great country comes to shake my hand!" Gunderson wrote in his Facebook post. "There may be plenty of issues in this country but I will always respect my country, my president, and my flag. Shot in the leg or not, I will stand to show my President the respect he deserves!"